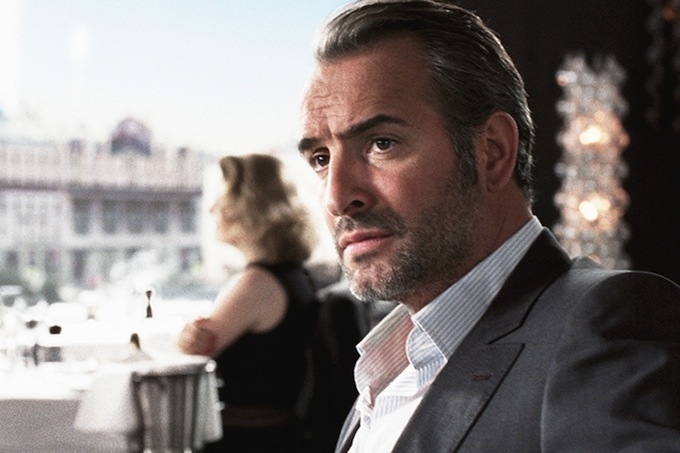 Jean Dujardin is back in action as an international spy in a romantic thriller set in Monaco and the world of high finance. Written and directed by Eric Rochant, the man behind the ‘Patriots‘ and ‘A World Without Pity‘, ‘Möbius‘ was released in France on the 27th of February, and certainly boasts an interesting international cast that includes Tim Roth, Cécile de France (‘Hereafter’) and Émilie Dequenne (‘Rosetta’), and not forgetting Mr. Dujardin himself, a year after winning the Best Actor Oscar for his silent role in ‘The Artist‘. Dujardin plays Gregory Lyubov, an undercover Russian intelligence officer who is sent to the principality to investigate the actions of Ivan (Roth), a UK-raised Russian oligarch suspected of laundering money through a Monegasque bank. To carry out the mission, Lyubov’s team approaches Alice (de France), a bright financial trader who works in the bank, and convinces her to retrieve information on the business investments of Ivan. Alice does not know that she has actually been recruited by the FSB, Russia’s post-KGB secret service. When Luybov, against all rules, decides to meet her, and the two fall hard for each other, the movie shifts from what seems at first glance to be a financial thriller, to a full-blown espionage film. Nothing is what it seems, and everybody becomes suspicious of everybody else. Money laundering, CIA, FSB, impossible love, betrayal…it is not clear until the end who will manage to outsmart everybody else, but if de France is doing a great job as a glamorous double-agent, it is sometimes hard to believe that Dujardin’s character is a Jason Bourne like spy. After all, it was not that long ago that the actor won acclaim in France for his role of Hubert Bonisseur de la Bath, a clueless and clumsy secret agent in the OSS 117 series of films, a high-spirited spoof of James Bond. The other star of the movie and a draw in itself is definitely Monaco. Shot last year on location, just after the Grand Prix, the film features many scenes that take place in front of the Balmoral, on the port of Fontvielle and on avenue Princesse Florestine. Moreover, a few interior scenes were shot at the Riviera Palace in Beausoleil, as well as in Menton, Nice, Cannes, Antibes and Saint-Jean-Cap-Ferrat.